Goalies must start the test in a kneeling position, to move to the right or left they may only pushing off with the trailing skate, while the lead pad slides along the ice. 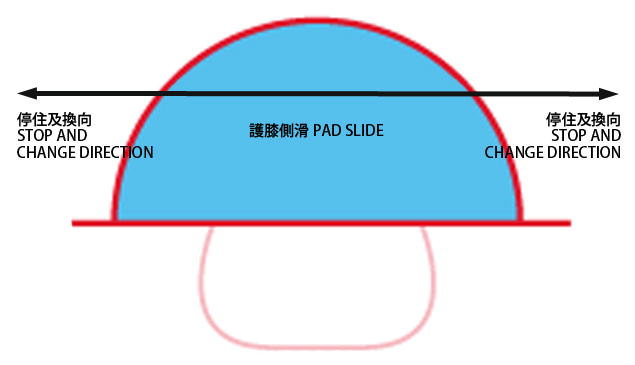 For example, as goalie moves left, left pad is flat on the ice in half butterfly position and the momentum is derived from the right skate. The goalie must maintain a front facing position, while travelling laterally. The lateral back and forth must be completed 6 times.